Alexandrina Fosgrave needed to escape the lies of her past. Luckily, she'd been able to come west to start anew as a teacher. Things weren't desperate, but she didn't have experience, and she needed a position soon. The position being offered by James Wallin seemed a little too good to be true. Luckily, someone was able to vouch for him, and soon she found herself accepting to travel to Wallin Landing, meet his family, and have the opportunity to consider the offer. James needed to find the perfect teacher to bring back to Wallin Landing, and he was certain that person was Rina. The name Alexandrina was a mouthful, and she didn't care for that name anyways, so James decided a new name was called for. Such was life for James. He didn't dwell on the bad and was always the one to find the light side of things. Some would say he was apt to make unconventional decisions. But once he had set his sights on Rina, he was absolutely determined to have her decision be to stay. Not everyone is keen on education in the wilderness, and Rina soon learns that she has an additional offer. It will be up to James to prove that she needs to stay in Wallin Landing not only for her students, but for him as well. 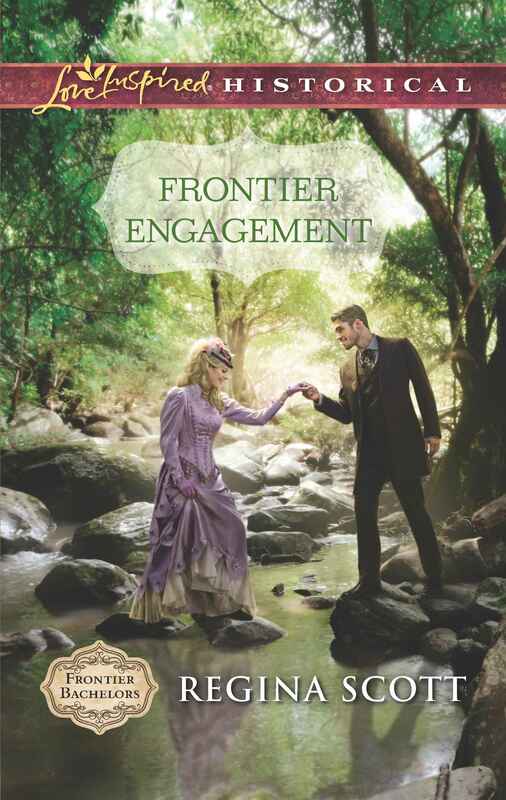 Frontier Engagement is a sweet love story of two individuals who are quite opposite in temperament. Rina had once expected to rule, but found her fairy tale life had just been that. And it had all crumbled around her. She has no need for flights of fancy. She needs a respectable position where she can earn a living. James however is constantly trying to bring a smile to anyone's face, especially Rina's. It is a challenge that he soon finds himself obsessed with. It takes them awhile, but with time, and guidance from Above, they soon find that their future is together.